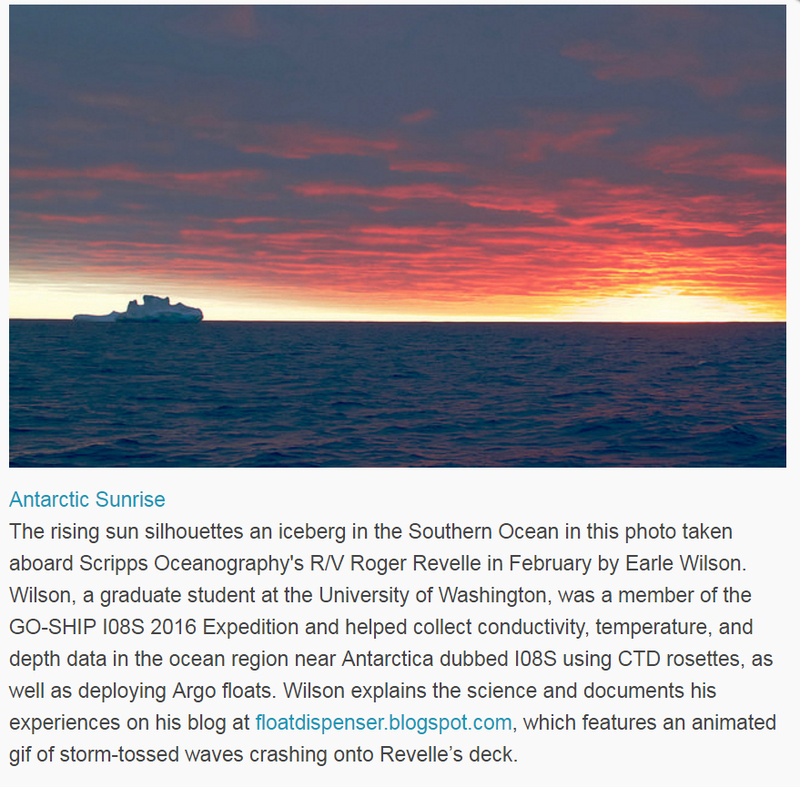 The rising sun silhouettes an iceberg in the Southern Ocean in this photo taken aboard Scripps Oceanography‘s R/V Roger Revelle in February by Earle Wilson. Wilson, a graduate student at the University of Washington, was a member of the GO-SHIP I08S 2016 Expedition and helped collect conductivity, temperature, and depth data in the ocean region near Antarctica dubbed I08S using CTD rosettes, as well as deploying SOCCOM Argo-type floats. Led by Alison M. Macdonald of Woods Hole Oceanographic Institution and featuring several participants from Scripps, the expedition was an international effort to employ ship-based hydrographic observations to understand the dynamics, the interaction, and the predictability of the coupled ocean-atmosphere system. Read more about the overall program at http://www.go-ship.org. 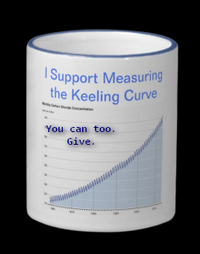 Support oceanography. Give to Scripps or to WHOI. This entry was posted in Alison M Macdonald, anemic data, Antarctica, climate data, complex systems, Earle Wilson, Emily Shuckburgh, engineering, environment, fluid dynamics, geophysics, marine biology, NOAA, oceanic eddies, oceanography, open data, Principles of Planetary Climate, sampling, science, Scripps Institution of Oceanography, thermohaline circulation, waves, WHOI, Woods Hole Oceanographic Institution. Bookmark the permalink.